There are many styles of coats. If your pregnancy will last through the fall or winter, you may be considering buying a maternity coat to stay warm. One of the most important details to consider is whether you want a coat that looks stylish enough to wear to fancy events, or one that is casual enough to wear while running errands. Keep the weather in your area in mind when choosing a coat, too, as this may help you select the best material. Another detail to consider is your budget, as this may determine whether you get a new or used maternity coat. The selection of coats may be overwhelming unless you can narrow down the style you want by taking your lifestyle into consideration. For example, if you plan to work throughout your pregnancy, you may need a coat that you can quickly put on with no fuss. It should also look stylish, though, especially if you plan to attend events for which you will dress up, such as work parties and meetings. If, on the other hand, you plan to rarely go out during your pregnancy except to run errands, your focus will likely be more on comfort and warmth, than style. Another detail to think about is how thick you need the maternity coat to be. This should depend on the time of year you will wear it, as a coat that is appropriate for a cool fall may not be the best coat for a freezing winter. Keep in mind that even if you have your baby in the fall, you might still consider getting a maternity coat that is appropriate for the winter since you might not lose all of the weight right away. 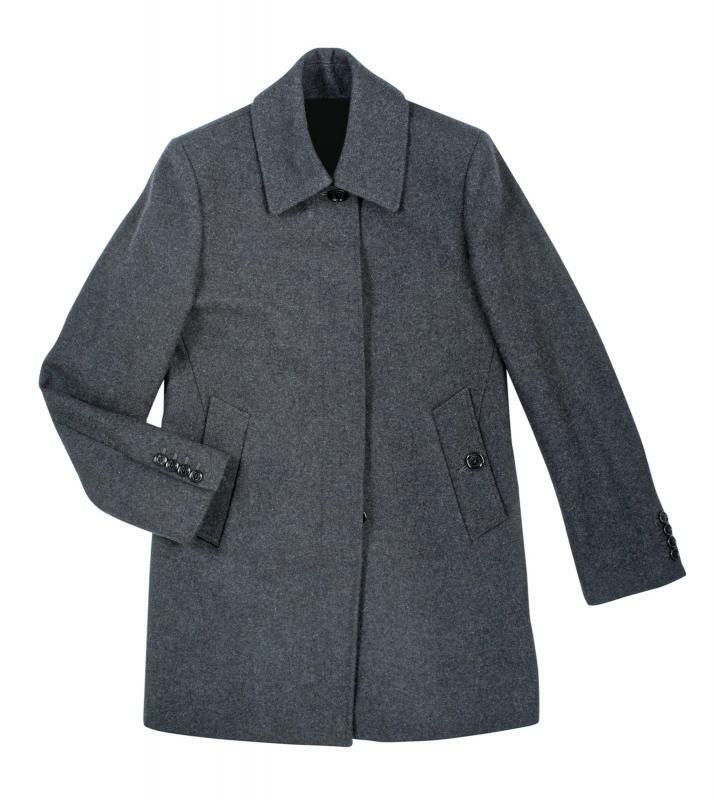 Additionally, if it tends to rain or snow frequently in your area, consider a waterproof maternity winter coat. One of the most important factors in selecting a maternity coat is your budget. It is often a good idea to consider the amount of use that you will get out of the coat before deciding how much money to spend on it. If this is your first baby, and you will likely have more, it may be a good idea to buy a high quality new coat since you could get years of use out of it. On the other hand, if you will only use it for one pregnancy, or only have to endure the cold weather for a short period of time, it is wise to keep the costs down. You can do this by purchasing a coat made by a little-known company rather than a name brand, or even buying a secondhand coat. How do I Choose the Best Maternity Skirts? How do I Choose the Best Maternity Shoes? Something to keep in mind is that even if you do plan to have other children, they might not be born during winter! If your second pregnancy ends in September, you won't get any more use out of the coat. Which is actually not to say that you shouldn't get one -- I'm all about comfort and if you live in a cold climate, you aren't going to want to go around all winter with your coat unbuttoned (which is what I did). But keep the resale value in mind if you buy new. You might want to stick to a neutral color and a classic style so that the coat won't go out of fashion before your next pregnancy and so that if you don't happen to use it again, you'll be able to sell it at a consignment shop or sale and recoup some of your money.